Join Senior Sangoma John Cingolweendaba Lockley for 3 Zoom sessions from 3pm to 4.30 pm UK time (10am New York time) on Friday, April 19th, Saturday April 20th and Satuday April 27th. Connecting to your bones means to acknowledge and honor those who made you who you are – your ancestors. Your ancestors are your blood ancestors, your lineage ancestors, the nature spirits and other elemental beings. In the African Shamanic tradition, your ancestors are a source of insight and healing. They help us to live life in a meaningful and dignified way. In this 3-part online teaching, Senior Sangoma John Lockley will explain and demonstrate ways to connect with your ancestors. This will help you to live your full potential and move towards your destiny in this life. It connects you with your life force. Each online training session will be 90min including time for question and answer. In order to facilitate a strong virtual circle and ensure that all participants can engage fully in that training, the spaces are limited to 20 participants. Sessions 1 and 2 will be recorded and an audio recording will be shared with all participants within 72 hrs of each session. Session 3 will be interactive and involve group participation and dream sharing. To help people fully open up and speak, that session will not be recorded. Participants are asked to keep a dream journal throughout the duration of this course. How do our ancestors communicate with us? How to honour your ancestors? How is your ancestral practice going? Contact Chris via email ct_reiki@icloud.com. Learn how to connect to your 7 senses, and move through the natural world like a Leopard. Wednesday 15th Public talk 7-9pm ‘Way of the Leopard’ - connect with your intuition, connect with Nature. John’s talk and retreat will be based on his best-selling book ‘Leopard Warrior’ and audio teachings ‘Way of the Leopard’, both published by Sounds True and available for purchase & signing on the night, and during the retreat. The Leopard is one of the most revered totem animals in Southern Africa. The reason is because it represents intuitive intelligence and nobility of spirit. The Leopard represents harmony between the spirit and mundane worlds, always dancing between the twilight worlds of light and dark. It is a guide to African medicine people and others who want to listen and wake up. This retreat will be conducted as a ceremony, with chanting, dancing and meditating. A key intention behind John’s teaching is ‘uvula indlela’, opening the road i.e. teaching people how to find their purpose or calling in life through listening to their hearts, dreams and intuition. In order to listen effectively we need to stimulate our nervous system and WAKE UP. The retreat will involve trance dancing or ‘shaking medicine’ where John will show people how to energise their spines to awaken their intuition. “In order to feel like the leopard, we need to move and dance like the leopard”. · Listening to our Heart. In South African traditional culture, it is each person’s responsibility to connect to their ‘Ubuntu’ (humanity), and in so doing they realise their unique gifts and become effective members of their community. ‘Ubuntu’ speaks about US, SHARING, TOGETHERNESS. It is literally translated as, “I am what I am because of who we all are”. · The ability to feel and listen to our Hearts will be honed through the practice of Heart-Beat meditation and trance dancing. · Connecting with Ancestors – John will speak about the importance of honouring our forebears because they have given us the gift of life. A simple ceremony will be conducted to improve our connection to our ancestors. · Dreams are the gateway to the spirit world. John will speak about the three levels of dreaming and some simple techniques to harness the power of our dreams. - Plant Medicine Ceremony - A key part of the retreat is a traditional South African plant medicine ceremony. This is done to help cleanse people so that they can receive insightful dreams. The plants used are ‘non-hallucinogenic’. Participants will place their feet in a bowl of water & herbs. A plastic foot basin, preferably square with enough room to fit both feet in. This Ceremony requires all participants to engage with their own process 100%. It requires the hearts of warriors, fearless individuals who are not afraid to face their own Shadows. John will be offering shamanic teachings at the London College of Psychic Studies. The teachings will focus on Ancestors, Ubuntu (Humanity) & Dreams. In Africa to connect with spirit means to dance and sing. John leads his talks like a ceremony, with storytelling, dancing and chanting in the Xhosa language. Participants will have an opportunity to ask questions and learn about one of the oldest shamanic cultures in the world, the sangoma medicine people from South Africa. One Day workshop - 25th May - The Way of the Leopard - African Shamanic Teachings on Ancestry, Instinct & Dreams with John Lockley. Private Sessions with John involving Divinations and/or Plant Healings on Thursday 23rd & Sunday 26th May. To Book please email gill@collegeofpsychicstudies.co.uk or call +44-207-589-3292. John Lockley will be leading a one day ceremony (at the London College of Psychic Studies), focusing on helping people to connect to their natural wisdom, their Ubuntu (humanity). He facilitates in a traditional South African way using drumming, singing and storytelling to activate peoples’ hearts and awaken their spirits. Ubuntu is seen as a circle, with each person being the centre of their circle. People will sit in a circle around an earth altar, constructed in a traditional African shamanic way to help people connect with their ancestors, the root of their being. To connect to the larger circle, we are called to listen deeply and awaken our bones and blood. Participants will be taught an ancestral healing practice. The practice starts with our hearts, our inner pulse and continues into our dreams. The natural world is threatened and we as humans are called to wake up and become guardians of the world. How can we do this? By becoming wild and reconnecting with our instinctual selves. In South Africa they do this through an intricate mix of prayer, dancing, ancestral work and dreaming. This workshop will be conducted as a ceremony involving a mixture of stillness, movement, and a discussion on ancestors and dreams. The stillness practice will involve heart-beat meditation where participants will be guided to connect with their pulse, their life force. The movement practice is the trance dance or xhentsa, also known as shaking medicine. It is a simple and easy practice and doesn’t require loads of fitness and stamina. The dancing and meditation will help to facilitate deeper relaxation, dream recall and ancestral connection. The Leopard is revered in Southern Africa as a totem of intuitive intelligence, with the ability to move between worlds, the world of spirit and nature. It is a noble creature with a silent promise of what is possible if we learn to listen with the entirety of our being. Evening Talk - Friday 24th May - African Journeying with Ancestors, Nature & Spirit. John will be facilitating a plant healing ceremony in London over 2 days. The focus is to help people connect more deeply with their spirit and dreams. Many people in the West associate the term “plant medicine” with hallucinogenic experiences. But this is just one small area of plant medicine. In many Shamanic cultures the Shaman connects and works with the spirit of the plant in order to restore balance and health. In this workshop, Senior Sangoma John Lockley will teach how dreams can help you to connect with your soul and the plant & animal worlds. He will discuss how plants are used in South Africa to deepen one’s connection to the ‘dreamtime’, ancestral world and ultimately help people to connect with their life path. They do this through cleansing and protecting the individual and aligning them with the spirit of nature. Participants will be lead through a gentle process in preparation for the plant ceremony. The ceremony will start with an ancestral invocation where each person will be given an opportunity to call on their ancestors. This will be followed by a combination of heart beat meditation (to encourage stillness) and shaking medicine (dynamic movement) to raise the umbilini (kundalini) or spinal energy. Participants will experience the plant ceremony as an external cleanse with their feet immersed in the plant mixture. Plant spirits love rhythm and song. To enhance this experience and facilitate deeper healing John will chant ‘ingomas’ or sacred sangoma songs assisted by the African drum. He will lead the participants on a ‘healing journey’ to release negativity and fear and be open to more abundance and joy in their lives. On the second day John will talk in more detail about different types of dreams, in particular prophetic or ‘teaching dreams’. For more information please see John’s best selling book, ‘Leopard Warrior’ & audio teachings ‘Way of the Leopard’. These are available in most book stores or online via Amazon. This will form valuable background info to John’s work. - A plastic tub that is large enough for both feet to fit into. Preferably square. It is sold in most supermarket stores as washing basins. Saturday from 10am to 5pm and Sunday from 9.30am to 12.30pm. A 7-day masterclass immersion in the Kalahari Desert with John Lockley and Alwyn Myburgh joined by special guests, ! !Xo Bushman/San elders. This is the first of its kind in modern times, with a sangoma & tracker working alongside one another to take participants on an inner and outer journey to connect to their wildness. Sangomas are dream trackers, navigating the inner worlds to bring about harmony in the natural one. Alwyn has been a tracker and Safari guide for over 23 years working alongside pioneers in the field such as Jon Young and Anna Breytenbach (animal communicator). John has been a Sangoma (traditional African Shaman) for over 21 years and has pioneered the bridge between African traditional spirituality and Western Psychology. Like the Bushmen people of old in the Kalahari, participants will be guided to the source of their being, the dream-time to reconnect with their purpose or calling in this life. Participants will be driven into the heart of the Kalahari for 7 days. There will be no wifi or modern facilities. Price will include all teachings, food & accommodation. People will sleep in special mobile tents. * A percentage of retreat profits will go towards the local Kalahari San community to improve their life. Each day will involve listening to nature, our dreams and following the tracks in the sand. All participants are required to arrive on Sunday latest by 6pm. NB: Tickets are limited! Please book early to avoid disappointment. Places are limited to a MAX OF 8 PEOPLE per retreat. What is Ubuntu? A unique Southern African philosophy on Humanity. It speaks about a human circle or radical interconnection. It has been coined by Nelson Mandela & Archbishop Desmond Tutu as ‘I am what I am because of who we all are’. 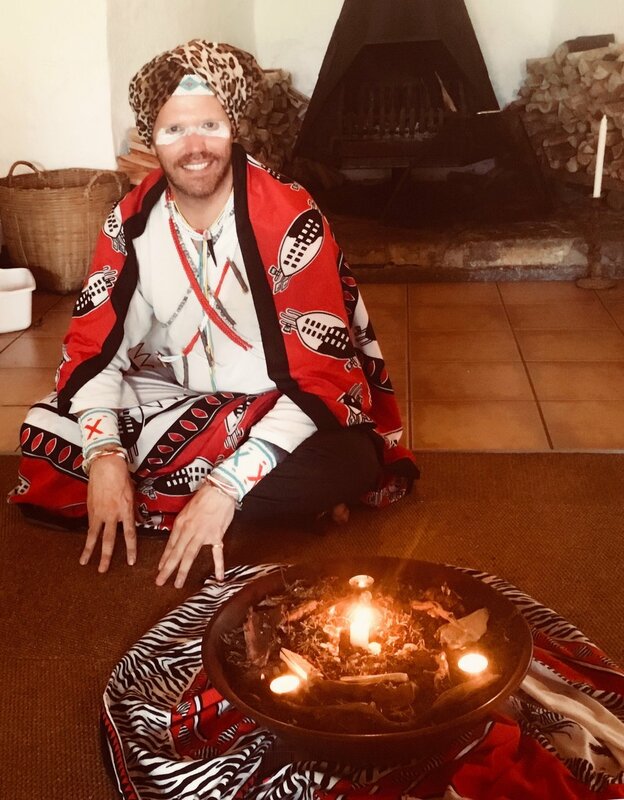 John will lead participants in a traditional South African healing ceremony over three days during which they will learn to connect to their Ancestors (bones), Dreams, 'Umoya' (spirit) and one another. 'Ubuntu' means 'I am what I am because of who we all are'. It is a circle of interlinking relationships connecting the seen and unseen worlds. The ceremony will involve a plant cleanse, using medicinal plants to cleanse the spirit and open the heart. John will lead an in-depth discussion on 'African cosmology' and the understanding of ancestors, plant medicine and dreaming to create 'Ubuntu'. Retreatants will learn one of the most ancient and misunderstood cultures in South Africa today - traditional healing from a sangoma perspective. 'Ubuntu' in essence represents harmony and is similar to the Zen circle. Linking the past and present, it is an evolving state of co-operation and compassion whereby every human being is linked to their own families and communities as well as the unseen world of ancestors. Please bring a plastic basin which will be used for medicinal foot healing, a dream journal, pen and paper to take notes, a meditation blanket and an open mind. This retreat is suitable for all therapists, healers and those with a desire to heal South Africa. John will be available after the retreat to offer private ‘bone divinations’ or sangoma consultations. To make an appointment please email John directly via info@johnlockley.com. A 2 day event: November 16th 10am-5pm and November 17th 10am-3pm. Initiated in 3 timeless traditions of African shamanism, yoga and Zen Buddhism, John Lockley will share his sangoma wisdom by guiding you on your journey within. John Lockley invites you to make the mindful decision to connect to your life force energy to learn what is the call of your spirit, your life purpose. John will teach the practice rituals according to the traditional, South African, Xhosa lineage - the tribe that gave us Nelson Mandela and Desmond Tutu. John will also speak about dreaming - identifying and cultivating prophetic dreams as well as the interconnectedness of us all. According to Xhosa spirituality, if we go back far enough, all people are related. LIMITED SEATING. DON‘T WAIT TO BUY YOUR TICKET. 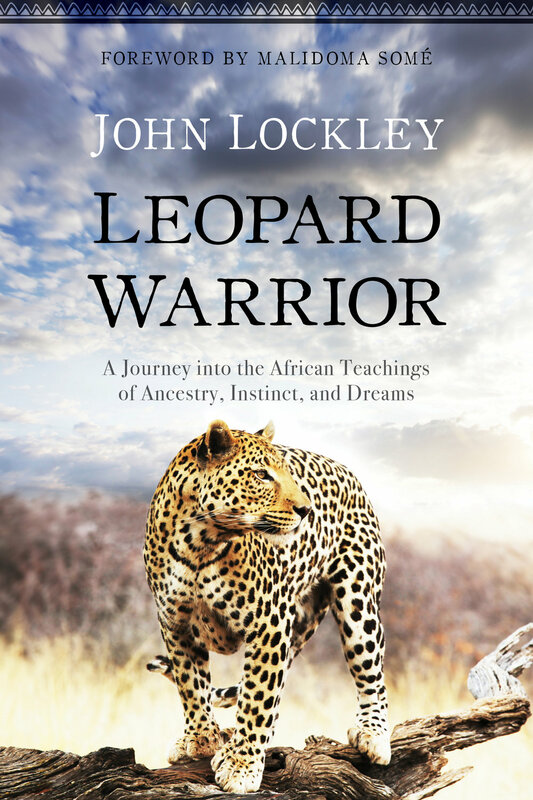 John’s bestselling book, “Leopard Warrior: A Journey into the African Teachings of Ancestry, Instinct, and Dreams” as well as his audio teachings, “Way of the Leopard” (both produced by Sounds True) will be available for purchase. *This is a series event. The ticket covers 2 consecutive days. You cannot attend Day 2 unless you have attended Day 1; tickets will not be sold for individual days. **Please arrive 10 minutes early to park along the road and get situated. Chairs will be provided. Wear comfortable clothing and bring food and drink. Otherwise, there are food trucks, a market, and restaurants nearby. Lunch will be from 1pm-2pm. As a prelude to the “Way of the Leopard” 2 Day Intensive, Plant Medicine (non hallucinogenic) Ceremony, John Lockley will talk about how we can connect with our ancestors, our life purpose and our dreams. Indoctrinated in 3 timeless traditions of African shamanism, yoga and Zen Buddhism, John Lockley will share his wisdom by guiding you on your journey within. Through song, dance, chanting, and mindful meditation, the spirit becomes free. Suggested Donation $20 - no one will be turned away for lack of funds. *Please arrive 10 minutes early to park and get situated. Chairs will be provided. LIMITED SEATING. John will be launching his new book at the Center for Spiritual Living in Santa Fe, NM. He will also be hosting a retreat at the Center, see bottom of description for details. "A beautiful invitation to open your eyes and heart to whole new worlds of shamanic healing and spirit. A reminder to trust your dreams and inspiration, and to love, dance and awaken to mystery." 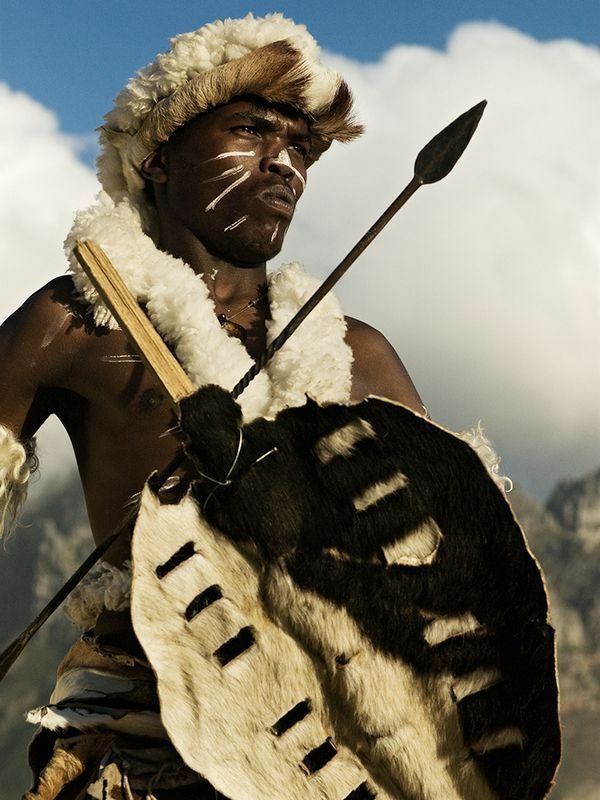 "Leopard Warrior is truly a remarkable account of the initiation of a white male in South Africa into becoming a Sangoma. This is quite a sign to be entrusted with these deep ancestral mysteries. John Lockley shares a wealth of stories that will bring tears to your eyes as well as inspire you to want to learn more. The exercises he provides are simple yet transformative. This book is brilliant!" The Leopard is one of the most loved and revered animal totems in Africa. ‘Leopard Warrior’ is a call for people to listen to their inner nature and face their own shadows. For many people it means facing their wounds, their vulnerability and therein lies the alchemy for our transformation. Sangomas are traditional healers/ shamans from South Africa. They are called in a profound, ancient way via dreams and a mysterious illness to become mystic healers. John was born to become a Sangoma and recalls his odyssey from civil war in South Africa, Zen Buddhist meditation in South Korea to prophetic dreams and a ten-year apprenticeship under MaMngwevu, a traditional Xhosa woman from Nelson Mandela’s tribe. John talks about ‘humanity’ (Ubuntu) and his quest to find an end to war which began for him through listening to his dreams and accepting his ‘calling illness’. Leopard Warrior is a pioneering book bridging South African traditional spirituality and modern Western Psychology. Note: FREE EVENT with book available for purchase! John will be available in Boulder for a limited time to offer Divinations and Healings. AVAILABILITY: October 6, 7, 10, 11, and 17. 12 PM - 6 PM. Time slots are 1 - 2, 2:15 - 3:15, 3:45 - 4:45, 5 - 6. John will be launching his book in Vancouver at the Banyen Books and Sound, one of the leading resource centres on the West Coast of America for all things related to spirituality and healing sound. John will be giving a one day 'Way of the Leopard Warrior' workshop on Saturday at East West Book store, followed by private healing/ Divination sessions on Monday 3rd Sep.
For further information & bookings please contact Banyen Books and Sound. John Lockley is one of the first white men in recent history to be initiated a senior Sangoma (Shaman) in the Xhosa tradition in South Africa, the tribe of Nelson Mandela and Desmond Tutu. His apprenticeship in post-Apartheid South Africa took him 10 gruelling years to complete, from 1997 to 2007. Ubuntu teachings describe a system of growing our souls, allowing us to emancipate ourselves from our individual egos, and expand outwards to the larger community. Ubuntu means humanity and acting in a way that is considerate, kind, and which involves a deep listening to ourselves and others. There exists a common bond between us all and it is through this bond, through the quality of our interactions with our fellow human beings, that we discover our own human qualities. We affirm our humanity when we acknowledge that of others. John Lockley will also talk about the importance of dreaming. Dreams are a gateway to our immortality and help us navigate the world of the living. As we become more conscious of our dreams, we become more conscious of our waking lives, of our inner landscape. We are also preparing ourselves spiritually for our final sleep, when we die and leave our bodies. John will expand on the three levels of dreaming and will teach us how to distinguish between the mundane dreams of everyday life, dreams engaging our psychological or emotional selves and finally prophetic dreams. For a listing of the events, bookings and further information please contact Anthony via email las_nubes00@hotmail.com. Traditional medicine cultures such as the Xhosa use plant medicine in a variety of ways to bring about a state of harmony in body, mind and spirit. The plants are used to cleanse the body and spirit of impurities and thereby remove any obstacles or blocks surrounding the person. The main job of a Sangoma or traditional shaman is to help a client dream and realise their potential in this life. Plants are powerful allies along the healing journey. John uses a variety of plants in workshops to help facilitate deep and profound spiritual healing. This plant healing ceremony should prove to be a unique, very personal and deeply internal experience for all participants. Participants will be guided through an energetic shaking dance practice to stimulate their ‘Umbilini’ (Kundalini) energy to heighten the effects of the plant ceremony. John will chant in the Xhosa language from South Africa to help everyone connect to the ‘dream/ancestral space.’ A guided heart-beat meditation will then follow as a means to help strengthen the connection to the soul, otherwise known as the wind, the Umoya in the Sangoma lineage. A plant medicine mixture will be then administered externally. Participants will be encouraged to place their feet (or hands) in a bowl of warm water mixed with the plant medicine. While soaking in the medicine in this way, John will pray, use instruments, and sing to encourage the spirits of the plants as they interact with the spirits of the participants. This is often a profound and moving experience for those involved. It is a direct healing encounter with a high potency. John frequently uses the local plants in the vicinity of his workshops. He also tends to mix in some South African plants to increase their efficacy, which he travels with. Please note: All plants used are non-hallucinogenic. Alchemy & the Path of the Wounded Healer; learning to transform our wounds to heal our world. 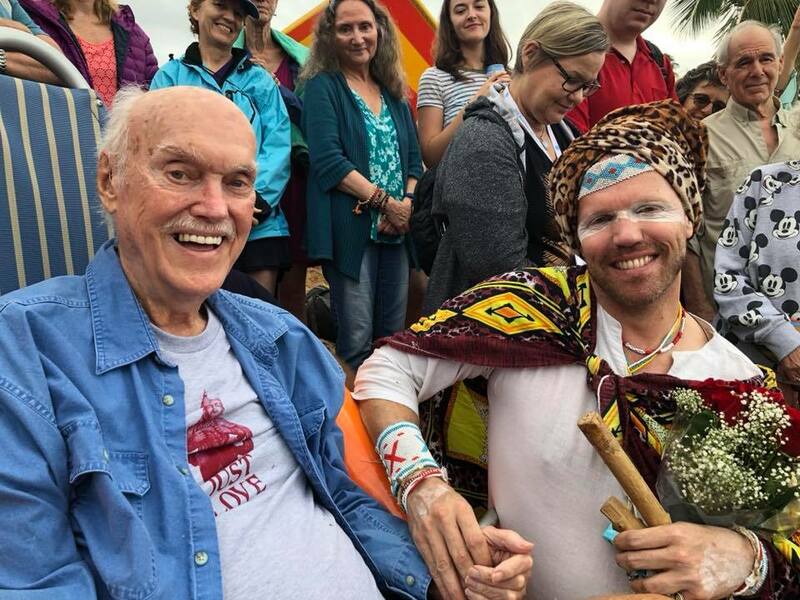 John Lockley is one of the first white men in recent history to be initiated as a senior Sangoma (Shaman) in the Xhosa tradition in South Africa, the tribe of Nelson Mandela and Desmond Tutu. His apprenticeship in post-Apartheid South Africa took him 10 gruelling years to complete, from 1997 to 2007. For additional information & Booking, please contact Anthony via email at: las_nubes00@hotmail.com. All participants are invited the bring along a soaking bucket to place their feet in during the plant ceremony as well as towels. This one day workshop is based on John Lockley’s bestselling debut book, Leopard Warrior: A Journey into the African Teachings of Ancestry, Instinct & Dreams. It will be held at the East West Bookshop in Seattle. This is an intensive one day workshop to help people connect to their humanity with the courage of a warrior and grace of a leopard. Shake your Bones & Open your Heart - A one day workshop based on John Lockley’s bestselling debut book, Leopard Warrior: A Journey into the African Teachings of Ancestry, Instinct & Dreams. A joyful exploration of ‘Ubuntu’ (Humanity) and what it means to be fully human, alive and connected to the natural world. John will teach participants how to connect to their life purpose through the ancient South African traditional teachings of ‘Ubuntu’. These teachings speak about the interconnectedness of all life. It involves an exploration of Ancestors, Dreams and the practice of trance dancing. Participants will learn how to connect to their Ancestors in a timeless African way, and how to dance like the Leopard and let their spirit flow. In order to understand your life purpose it is important to connect to your bones, the roots of your being. Would you like to feel more alive and connected with your life purpose? Then join us for this remarkable day of meditation, dance and mystical teachings. Participants will have an opportunity to get a signed copy of John’s book, Leopard Warrior as well as audio teachings, The Way of the Leopard. John will be launching his book in Seattle at the East West Bookshop, one of the leading resource centres on the West Coast of America for all things related to pioneering consciousness. For further information & bookings please contact the East West Bookshop. Join John on tour in LA at this one day workshop hosted by InsightLA. This one day workshop is based on John Lockley’s bestselling debut book, Leopard Warrior: A Journey into the African Teachings of Ancestry, Instinct & Dreams. In order to fulfil our life purpose we have to connect with our essence, our intrinsic humanity, our soul. John Lockley will teach people how to do this through a day of ceremony, contemplation and retreat. The day will involve participants sitting in a circle to help activate their ‘Ubuntu’ (humanity). People will learn how to dance and shake to activate their umbilini (kundalini), heart-beat meditation to calm the soul, ancestral veneration to strengthen the sangha and Dreaming to understand our Direction. John will speak about the three levels of dreaming and how to identify & cultivate prophetic dreams. The retreat will be a mixture of dancing, stillness, contemplation and discussion. Contact: Email programs@insightla.org or call +1 310.450.1821. Private Healing sessions: John will be available for private healing sessions by appointment from the 19th – 26th August. To make an appointment please email info@johnlockley.com. Talk at InsightLA in Santa Monica, USA. We are all born human, that is clear. However, in order to connect to our life essence, our true nature & true humanity, we have to make a decision, a decision to activate our ‘umbilini’ (kundalini) energy. As a traditional healer from South Africa, and mindfulness practitioner in the zen tradition, John Lockley will speak about the third jewel in Buddhism, the ‘Sangha’. The sangha is much bigger than our friends and community, it reflects our humanity, the blood that binds us all and our collective ancestry. John will teach people how to ‘activate’ their ‘umbilini’ energy through shaking medicine, heart-beat meditation and ancestral veneration. This involves, cultivating deep love and gratitude for our ancestors and the sacrifices they made in order for us to be born human. There will be an opportunity to buy John’s bestselling book, ‘Leopard Warrior’ & audio teachings ‘Way of the Leopard,’ both produced by Sounds True. John will be running a one day workshop on Saturday 18th. John will be available in Detroit, Michigan for a limited time to offer Divinations and Healings. What does it mean to be a leopard Warrior? A Leopard Warrior is a mystical being that is prepared to enter the shadow worlds within and return to this world with magic and mystery to share. To do this requires the courage and fortitude of a warrior; to smile at our wounds & nightmares and see them as an opportunity to grow. What the world needs now are 'Leopard Warriors', spiritual warriors who face their own shadows and bring them into the light. Are you ready? Exchange: $250 including Friday night's talk. Private Sessions with John: John will be available to offer private sessions to people in Detroit from 8th August. Please contact House of Yoga to book a session. John will be giving a book talk at the House of Yoga in Berkely, Michigan; a well known Yoga Centre in the heart of the Midwest. John's bestselling book 'Leopard Warrior' Warrior’ is a call for people to listen to their inner nature and face their own shadows. For many people it means facing their wounds, their vulnerability and therein lies the alchemy for our transformation. Sangomas are traditional healers/ shamans from South Africa. They are called in a profound, ancient way via dreams and a mysterious illness to become mystic healers. John was born to become a Sangoma and recalls his odyssey from civil war in South Africa, Zen Buddhist meditation in South Korea to prophetic dreams and a ten-year apprenticeship under MaMngwevu, a traditional Xhosa woman from Nelson Mandela’s tribe. This evening talk is a prelude to John's weekend retreat/ceremony 'The Way of the Leopard-Warrior'; transformation through listening to the wind of our soul. Pioneering wilderness work from the Heart of South Africa. Exchange: $40 + special weekend workshop offer. This one day workshop is based on John Lockley’s bestselling debut book, Leopard Warrior: A Journey into the African Teachings of Ancestry, Instinct & Dreams. It will be a joyful exploration of Ubuntu (Humanity) and what it means to be fully human, alive and connected to the natural world. John will teach participants how to connect to their life purpose through the ancient South African traditional teachings of Ubuntu. These teachings speak about the interconnectedness of all life. The workshop will be an exploration of ancestors, dreams and the practice of trance dancing. You will learn how to connect to your ancestors in a timeless African way, and how to dance like the Leopard and let your spirit flow. To understand your life purpose it is important to connect to your bones, the roots of your being. Would you like to feel more alive and connected with your life purpose? Then join us for this remarkable day of meditation, dance and mystical teachings. John is one of the first white men, in recent history, to become a fully initiated sangoma in the Xhosa lineage of South Africa. He was born, in 1971, into a divided Apartheid South Africa, with the mark of the sangoma on his face – a band of white birth skin around the eyes. At 18, John was serving in the South African army as a medic (during the war with Angola in the 1980s) when he had a strong, prophetic dream calling him to train as a Xhosa sangoma. He immediately began to suffer from the thwasa, a severe period of ill-health that is inherent in all ancient shamanic cultures which can only be cured through apprenticeship to a shamanic teacher. Because of the restrictions of Apartheid (which ended in 1994) it would take John seven years to find a Xhosa teacher. During the early days of his calling he trained as a Zen student under renowned Zen Master, Su Bong, completing an intensive three-month kyol che in a Buddhist monastery in South Korea. He was then invited by the Grand Master Dae Soen Sa Nim to join his “monk army”, but the strength of his sangoma calling drew him back to South Africa. Eventually, post-Apartheid, John met Mum Ngwevu, a well-known Xhosa Sangoma medicine woman, in one of the poorest townships in South Africa. She had foreseen his arrival in a dream and began his 10-year apprenticeship, giving him the initiated name Ucingolwendaba, meaning messenger or connector between people and cultures. John will also be available for a limited number of 1 to 1 private session on Sunday, July 29th in East Dulwich. Please contact me if you're interested; Chris Thurow ct_reiki@icloud.com. More information about his work can be found on his website. The Way of the Leopard: Connect with your roots, shake your bones, raise your Kundalini (umbilini) and listen to your dreams. Welcome to the wisdom teachings from Southern Africa. Meet John Lockley, a 20 year sangoma (traditional South African Shaman) veteran apprenticed in two lineages, the Xhosa & Swazi nations. John is one of the first white men, in recent history, to become a fully initiated sangoma in the Xhosa lineage of South Africa. Join us for an evening of African dancing, chanting, storytelling & meditation delving further into John's bestselling book, ‘Leopard Warrior’: A Journey into African Teachings of Ancestry, Instinct, and Dreams. ***42 ACRES unforutnately does not have disabled access at this stage. John was born to become a sangoma with his mother’s visions of Africa. His teachings speak of our shared ‘Ubuntu’ (humanity) and how to put an end to war. As an army medic at the height of South Africa’s civil war ie, Apartheid; he speaks with profound passion & understanding. “To end war we need to shine a light on our own inner shadow selves, then we have an opportunity to truly blossom like the lotus flower”. John will be launching his new book in Watkins bookshop in London. Watkins is London's oldest esoteric bookshop, the home to many well known writers and philosophers, including Carl Jung. Note: All Author talks at Watkins are FREE ! A 3 day ancestral healing ceremony/retreat based on John Lockley’s bestselling book ‘Leopard Warrior’. What the world needs now more than anything else are people who are Wild, unapologetically WILD and connected to their human spirit. The ceremony is based on the ancient Xhosa traditional healing ceremony performed in South Africa to help reconnect people to their Ancestors, Dreams and ‘Ubuntu’ (Humanity). As a traditionally trained Xhosa sangoma, John has been immersed in this process for over 20 years in South Africa. He brings the essence of this to the Western World to initiate people into the ‘way of the bone people’, (Ancestors), helping people to remember their Ancestors and their roots. ‘Ubuntu’ means ‘I am who I am because of who we all are’. In order for us to know where we are going as individuals and a community, we need to reconnect to where we come from. It is a mystical circle encompassing the past, future, physical and unseen worlds. Welcome to the world of the sangoma for this unique ceremony! The ceremony will be a mix of stillness, dancing, praying, dreamwork and include a powerful medicinal plant cleanse. It will be performed in a circle with an earth altar as the focal point. A Key question for all participants is ‘Where is your spirit’, and how is ‘Nature calling you right now’? • John will teach people how to connect to their Ancestors in a simple, beautiful and profound way. • The Leopard Dance – a series of shaking movements to stimulate the ‘umbulini’ (Kunalini) energy in the spine to awaken our natural state, our ‘Ubuntu’ (humanity). • Dreaming – John will speak about the 3 levels of dreaming and mystical/ prophetic dreams and how we can recognise them. • A core aspect of John’s teachings involves the practice of Heart-Beat Meditation. This is based on the South African drum. It is taught to help quieten the mind, connect with our Soul and feel the rhythm of the earth beneath our feet. • John will perform a cleansing ceremony with medicinal plants (non-hallucinogenic). People will place their feet in a mixture of plant medicine. It is performed to help ‘open the road’ for people, to enable them to reconnect to their life purpose. Location: This retreat will take part in the beautiful Aloha house in Killorglin; a centre for retreat & relaxation; home of Lomi Lomi, Hawaian Healing in Ireland. Are you Ready? Then Book Now because there are limited numbers. For further Info please email: leopard.warrior.way@gmail.com. For Accommodation please email Louise via alohahouseireland@gmail.com or Tel +353-86-731-6499. Join us for this lively discussion, performance and glimpse into the 'Way of the Leopard' with John Lockley. There will be opportunity to ask John questions and receive a signed copy of his new book "The Leopard Warrior" published by Sounds True. This is an experience that has touched many hundreds of people around the world as John travels, inviting you to experience the healing energies, beautiful songs, and rhythms from South Africa. John will talk about the importance of connecting with your senses as a way to still the mind and awaken intuition. The Leopard represents raw, intuitive intelligence and interconnectedness with the natural world. The Leopard reminds us of always listening to their body as a way to help harmonise people with themselves and the natural world. It is his desire to help people reconnect with their ancestors and live fully in their bodies, enabling them to live more satisfied, healthy and happy lives. 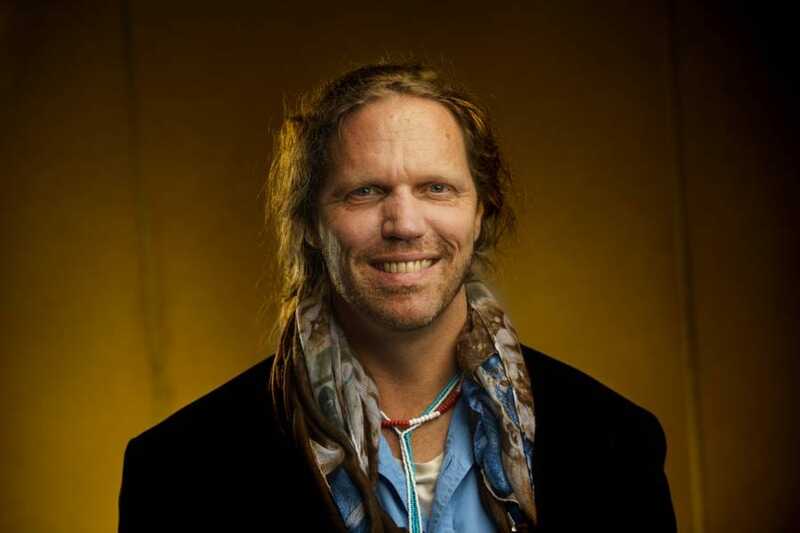 John is an emerging bright star in the global Shamanism scene with a newly published book "Leopard Warrior" with Sounds True, Year of Ceremony presentation, and the global Shamanism summit on the Shift Network. Places are limited to spend time with John so please book early. Cost £52.00.